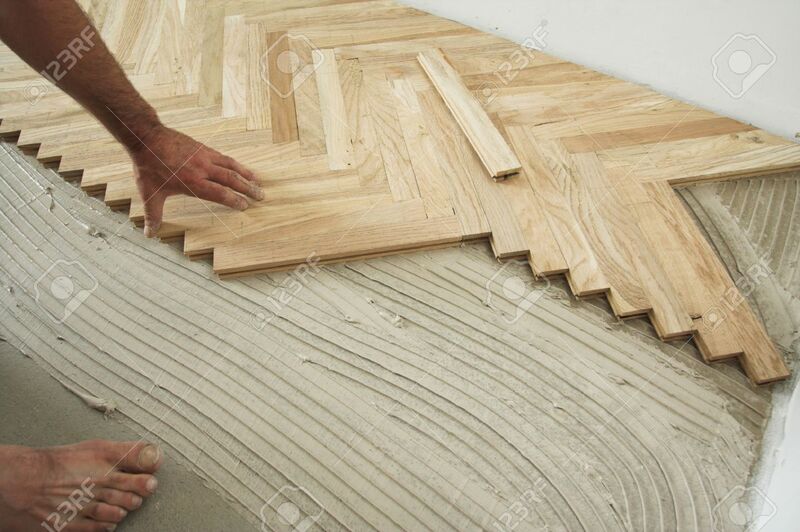 Carpenter On Work Putting Wood Floor - Parquet Pieces. Home Construction.. Stock Photo, Picture And Royalty Free Image. Image 4421893.